Hello Divas! It's Meg here with you today. 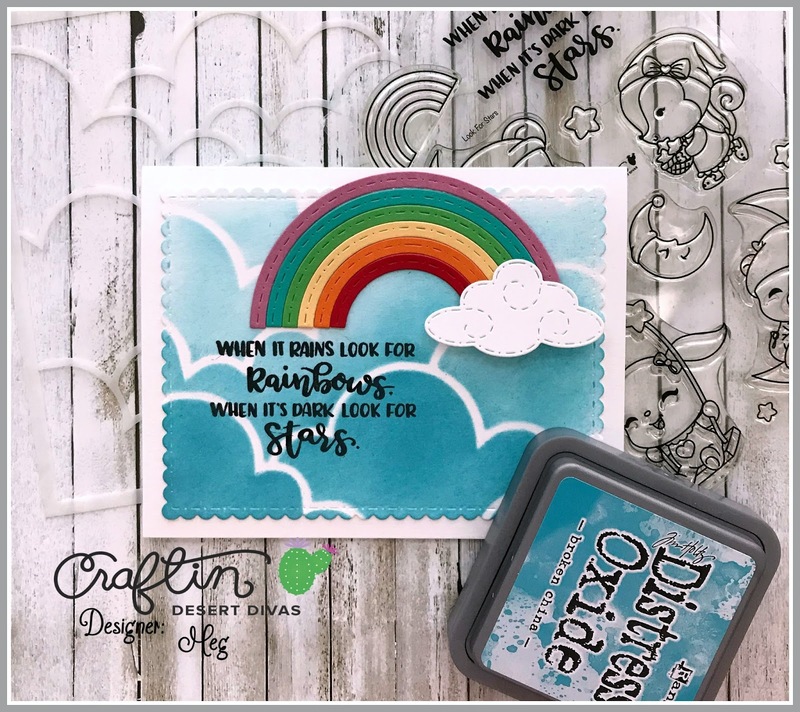 We're in the middle of a terrific new release, and today I'm delighted to share with you a preview of the adorable new Look For Stars stamp set and Cloudy Sky stencil. I simply adore all the critters in this stamp set, but I also LOVE the sentiment. It's so perfect, and coordinates well not only with the stars theme we have in this release, but also with sunny days and rainbows! And the sentiment is a great big size, and so can take center-stage in your design. I used the Cloudy Sky stencil to create an ombre sky - it's so easy to do with this stencil and a single Distress Oxide ink. I chose Broken China for my design. Enjoy the rest of the previews this week, and don't forget all the new goodies will be available for purchase in the shop on Friday! I love the look of the broken china ink for the clouds/sky. I saw that stencil and was wondering what it would look like and your card is a perfect example of how cool that stencil is.